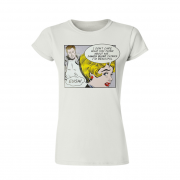 Women's short sleeved t-shirt in white featuring Pop Art print. 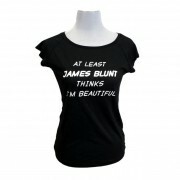 Short sleeved women's t-shirt in black with 'I'm Beautiful Text' print. 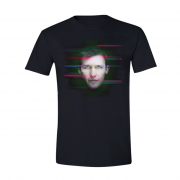 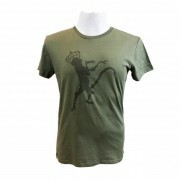 Continental 70% bamboo viscose, 30% organic cotton – 115gsm Chest measurements - S: 32 ½”, M: 34 ½”, L: 36 ½” XL: 40"
Men's short sleeved t-shirt in black featuring 'Moon Landing' cover art.